When it comes to women’s health, we hear you when you say it can be challenging to find a treatment that will help your symptoms and your day-to-day quality of life. Polycystic ovarian syndrome (PCOS) is a hormonal and metabolic disorder common in women within reproductive age. It affects nearly 2 million women in Canada and nearly 50% of women don’t know that they have it. PCOS has also been associated with weight gain due to the role of insulin resistance with this condition. The exact cause of PCOS is unknown but we do know that treating this condition with regular acupuncture can help. We have helped many women in Edmonton cope with this condition and you can overcome it too. 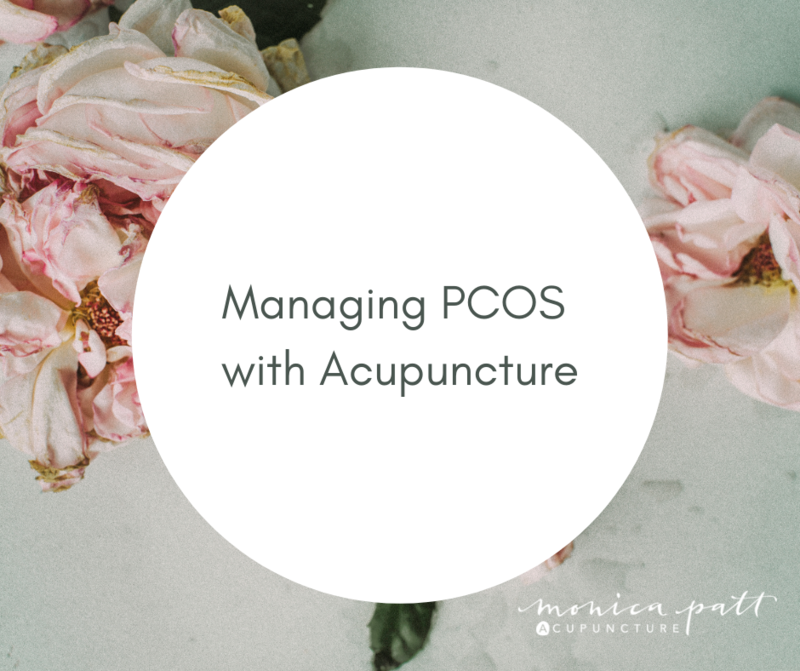 Lifestyle, diet, precise supplementation and acupuncture can make a difference in the management of your PCOS and help achieve your goals of pregnancy or top manage day to day symptoms of PCOS. We use targeted supplements and herbal formulas to decrease overall inflammation in the body, address insulin resistance, normalize blood sugar levels, promote weight loss, promote ovulation and minimize side effects that can be experienced in medications often prescribed for PCOS. In addition to precise supplementation, we use customized herbal formulas tailored to you and your specific symptoms. Stener-Victorin et al. showed an improvement of ovulation after electroacupuncture in 24 anovulatory (not ovulating) women with polycystic ovary syndrome. The percentage of ovulatory cycles increased from 15% 3 months before treatment to 66% up to 3 months after acupuncture. The same group demonstrated that in animal studies, acupuncture modulated sympathetic markers as well as ovarian blood flow as a reflex response via the ovarian sympathetic nerves. We use specific diet and lifestyle recommendations to make significant changes in women with PCOS. Some of our favourite tips include focusing on incorporating a hand sized portion of protein at each meal with a large amount of vegetables (at least half the plate). If insulin resistance is a factor reduction in carbohydrates (especially refined carbohydrates) in necessary. Dairy should also be reduced as a diet high in dairy consumption has also been associated with increased insulin resistance in women. Exercise is important for overall health and well-being but even more so for women with PCOS. Acupuncture in combination with physical exercise lowers circulating testosterone levels, increases ovulation and menstrual frequency. Resistance exercise three times per week at 45 minutes each time is key. This can include body weight exercises such as squats and lunges or hitting the weights. This has the benefit of reduction of androgens and waist circumference. If cardio is more your style vigorous exercise for seventy five minutes per week can also be a great option. Over the years, we’ve worked with many women with varying degrees of PCOS. Because acupuncture can work to relax the body and help it work in the necessary ways it needs to heal and cope, a wonderful addition to your treatment is the piece of mind knowing that you are in good hands as we work with you to manage your condition. Lyttleton, J. (2013).The Treatment of Infertility with Chinese Medicine(2nd ed.). Elsevier. McCulloch, F., N.D. (2016).8 Steps to Reverse Your PCOS. Austin, Texas:Greanleaf Book Group Press. Zhiyuan, W. (n.d.). Effect of transcutaneous electrical nerve stimulation atacupoints on patients with type 2 diabetes mellitus: A randomised controlled trial.The Journal of Chinese Medicine. Tucker, Larry A et al. “Dairy consumption and insulin resistance: the role of body fat, physical activity, and energy intake” Journal of diabetes research vol. 2015 (2015): 206959.